ExAM is covering mapping data from the survey directly into the Contact record, but we want to have an NPS record that allows us to pull together all of our NPS data into one object so we can easily analyze it, especially for folks that like to use Wave. 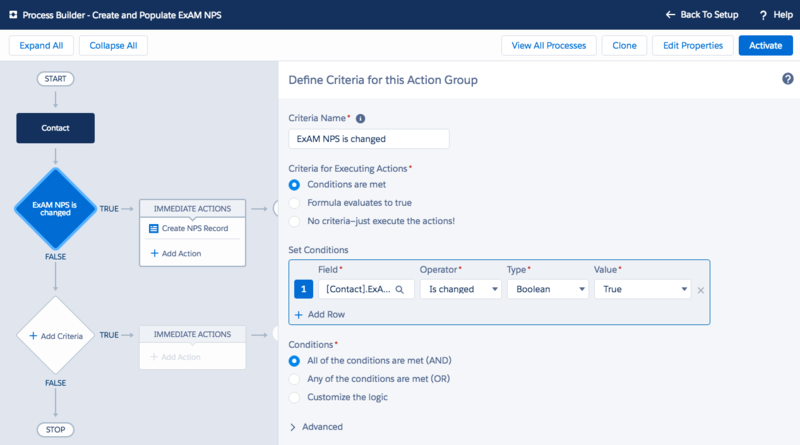 This means using Salesforce’s process builder so we can easily create a new NPS record every time a contact submits a new NPS survey for a product. Start by creating a Process Builder. I named mine “Create and Populate ExAM NPS.” Once that is created have it start the process every time Contact record is created or edited. I then have it evaluate the assessable object every time the ExAM NPS Survey Last Taken field is changed. When the statement evaluates to True. 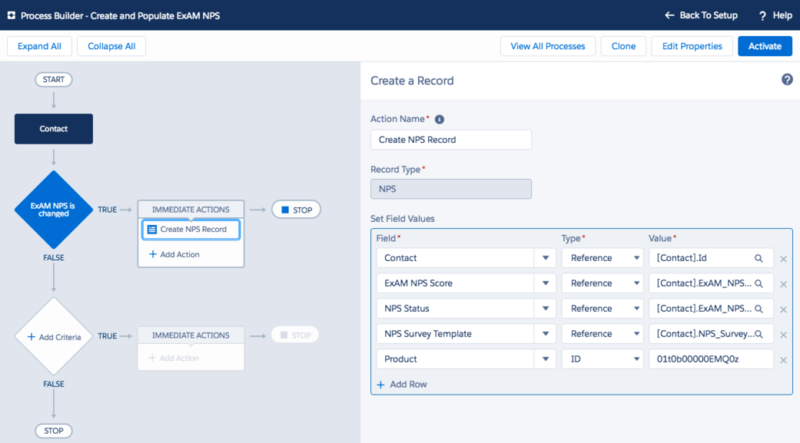 Create a New NPS Record and set the appropriate field values. 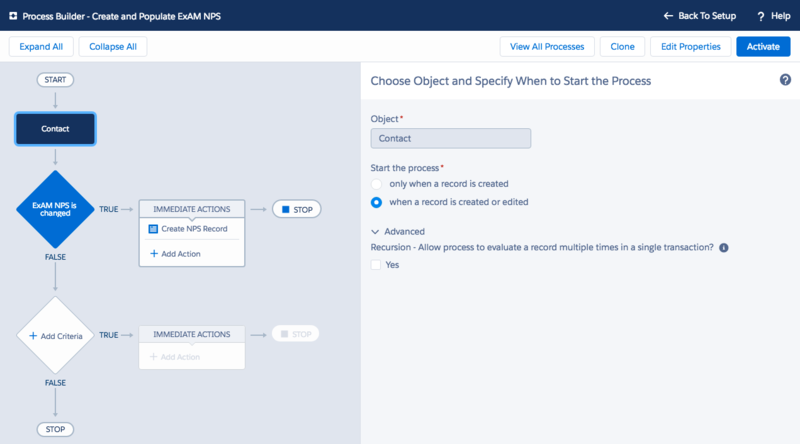 Once complete save the Process Builder and don’t forget to Activate! It also wouldn’t hurt to run a couple of tests to make sure things are working appropriately.